At PCH, nutritious food and the dining experience are a key component of patient care. 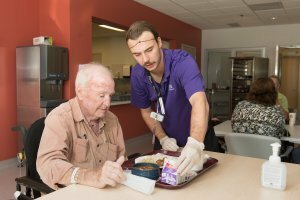 The Meal Times Matter and dining room models that were introduced with the opening of the hospital in 2017 helped to reduce some of the barriers that often prevent patients from meeting their nutrition needs. Patients at PCH have dedicated hours where there are no appointments, no therapy, no nurses attending, just time focused on food and the social and emotional benefits of eating. Under the Meal Times Matter and the dining room models, mealtimes are scheduled and uninterrupted, and patients eat with each other in on-unit dining rooms. They are offered a choice in what they eat at mealtimes and the opportunity to experience the sensory benefits of meals. The dining room model increases socialization, offers on-site assistance and decreases the risks associated with eating alone. In addition to prioritizing meal times, PCH also ensures patients receive fresh high quality food by providing homemade meals that are prepared on-site by Red Seal Chefs. “Good food and good nutrition can shorten the length of stay. It’s a form of medicine. If you’re in therapy, you need energy. If you’re recovering, you need nutrition,” says Ormsbee. The work to see malnutrition rates decline in the hospital doesn’t end there. A new project that will see all patients and clients screened for malnutrition and referred to the dietitian upon admission is in its final phases of implementation. This is an important step in early detection of malnutrition in order to intervene in a timely and effective manner. Research shows that malnourished patients stay in a hospital two to three days longer and are at higher risk of readmission within 30 days. 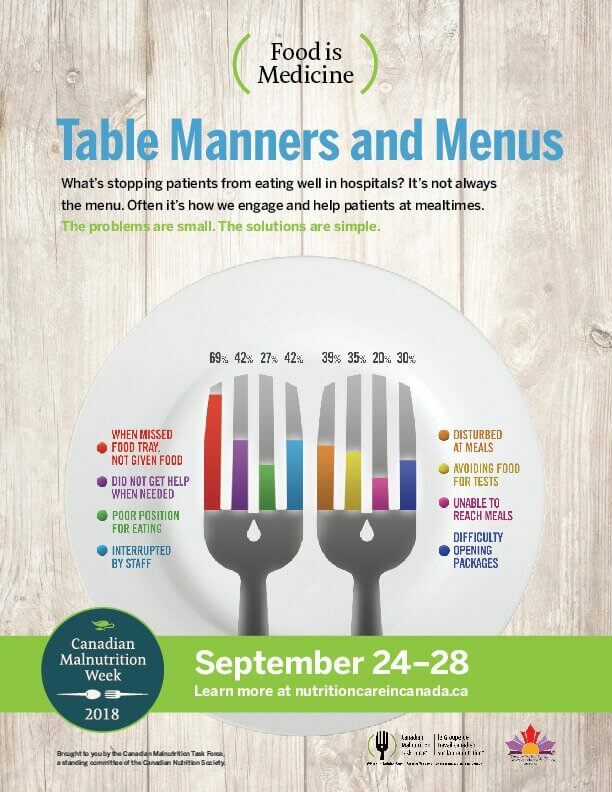 Canadian Malnutrition Week takes place from September 24 to September 28, 2018. 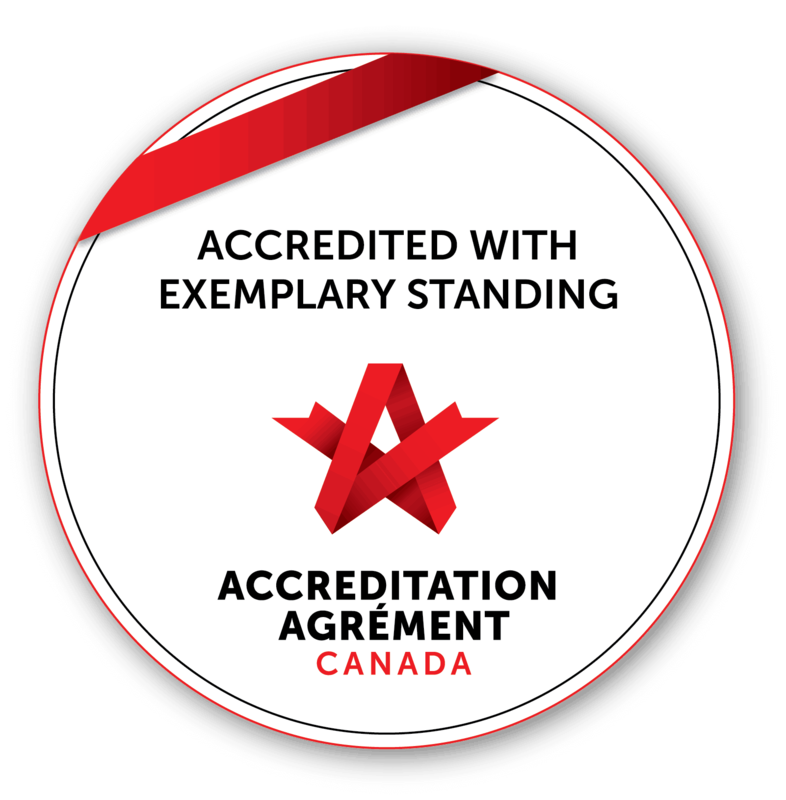 To learn more about the role good nutrition plays in a patient’s treatment and recovery, visit http://nutritioncareincanada.ca/. This is amazing! Congrats for noticing and being pro-active to come up with the issues and then solving the problems. This shows that there is still hope in the world. Being a part of the community and helping the less fortunate is amazing!